The urban India has its own requirement. The need for one’s safety, security and conveniences has changed drastically over the last few years. A township provides a living experience wherein everything is at your disposal and the lifestyle is elevated and maintained through proper planning and management. The concept of community living, essentially, can be described as a place where people from all walk of life come together to celebrate festivals and special occasions. In today’s day and age, safety and security are the need of the hour. When you have a 3-tier centralized security system, with CCTV cameras and RFID cards for the residents, you can be rest assured about the safety of your loved ones. Every family with a child duly understands the pain of searching for the right school for his children. The fact that two of the reputed schools are there in the vicinity makes a parent feel good about his child’s future. A township also inculcates the value of preservation and conservation. The prepaid meters for water and electricity and the presence of Sewage Treatment Plant and Water Treatment Plant make us realise the importance of natural resources. The presence of natural floras and gardens make any place lively and booming with freshness. A township not only creates better infrastructure but also gives the touch of nature to it. The first and foremost thing that a township does is provide conveniences to all. Anything that you want and everything that you need is there in the vicinity. Shopping complex, parks with benches, gyms, senior citizen zone, etc., a township has everything for everyone. 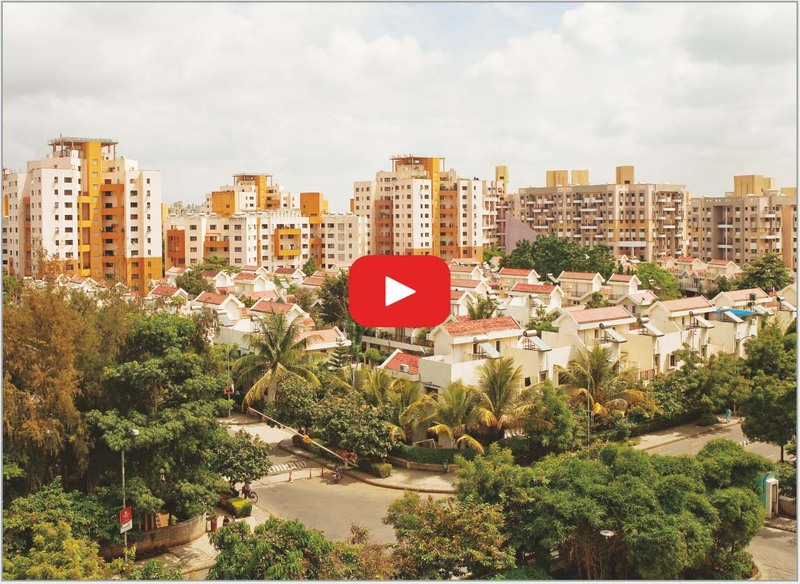 The concept of township was incepted with Magarpatta City which is a 430 acre township in Hadapsar, Pune. It is said to be India’s first privately managed, fully integrated township and has a commercial zone, residential neighbourhoods, two schools, a multi speciality hospital, a shopping mall, multiple restaurants, a gymkhana and a large 25 acre serene park called Aditi Garden inside the campus. Nanded City, Sinhagad Road, Pune - 411 068. India.